Come for Winter, Stay for Summer! Mountain living lifestyle conjures up images of snow-capped trees and ski adventures. But one of the best kept secrets of the mountain region is its appreciation of its culture—and the way it is celebrated. The towns of Sun Valley, Idaho, and Park City, Utah, prove that while skiing may bring you in, their summer activities will convince you to stay. 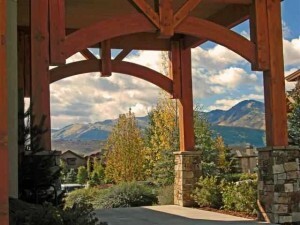 Park City is known as a world-class mountain resort and as the venue for the 2002 Olympic Winter Games. But what many may not know is that Park City also offers some of the most entertaining arts and concerts under the stars and mountaintops. From outdoor Utah Symphony concerts to the Kimball Arts Festival and Deer Valley Music Festival, music is in the air. Those who appreciate the culinary arts enjoy “Savor the Summit,” also known as Park City’s longest dinner party. It is a unique dining experience designed to kick off the summer season, with one long table set in the middle of historic Main Street so Park City’s finest restaurants can showcase their best dishes in an open-air atmosphere. Historic Main Street brings the Old West back to life. Many of the buildings on Main Street that can be found on Main Street today date from the 1860s, when Park City was founded as a silver-mining town. Today, Main Street is home to shops, fine dining, art galleries, bars and live music establishments.